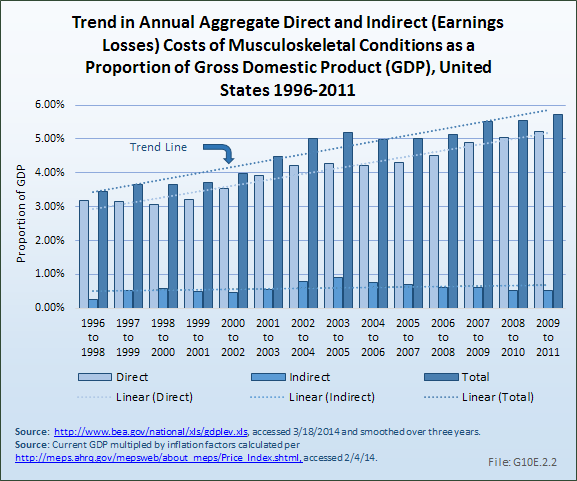 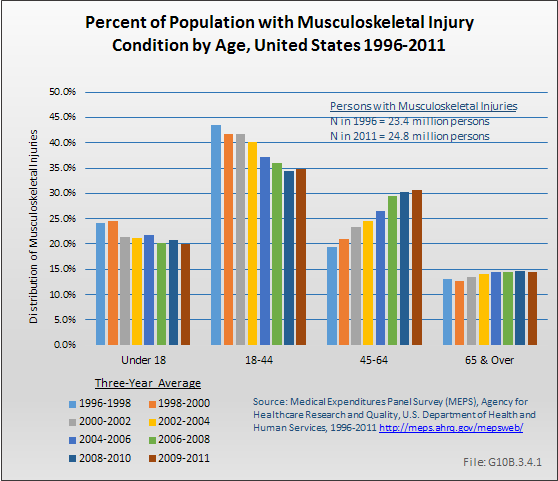 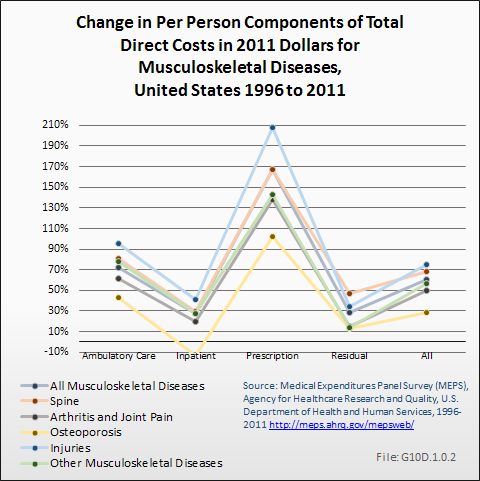 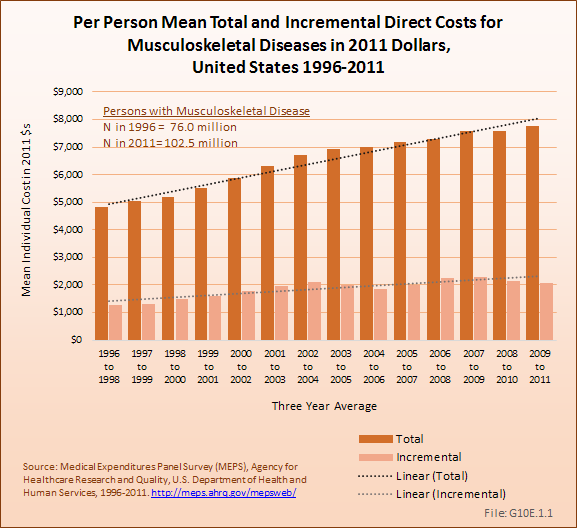 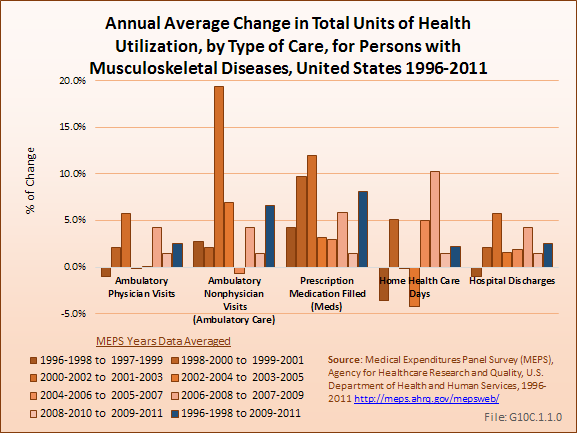 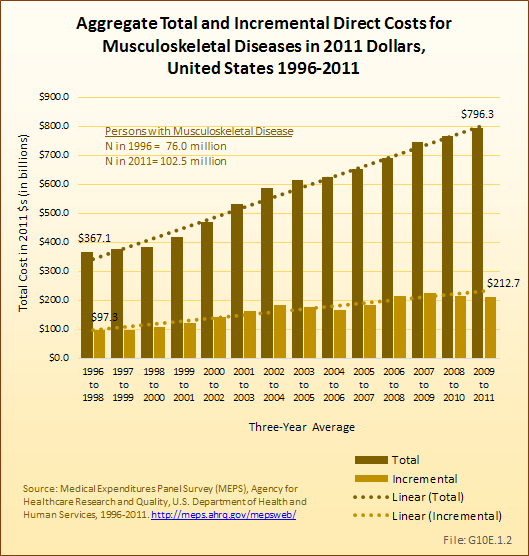 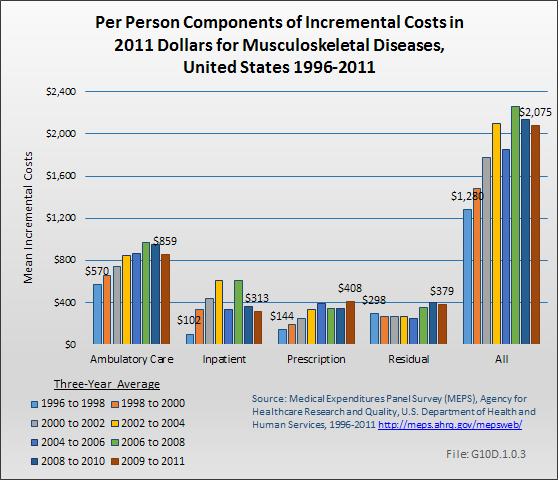 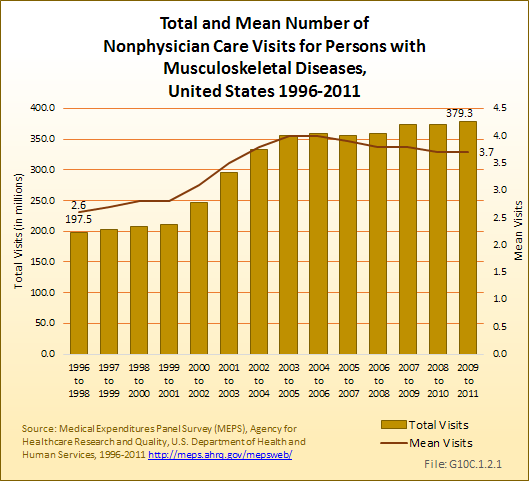 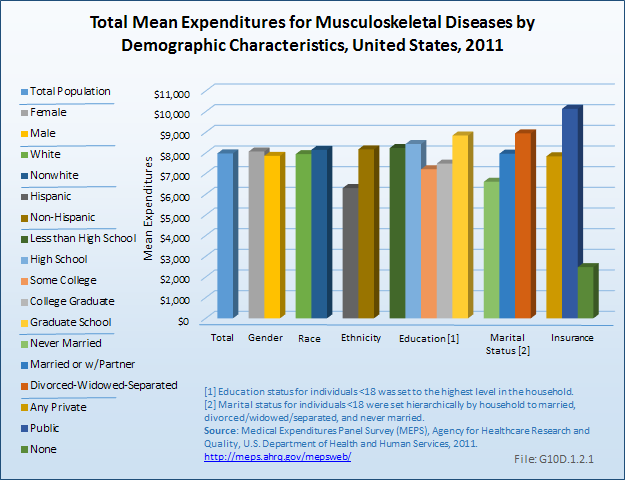 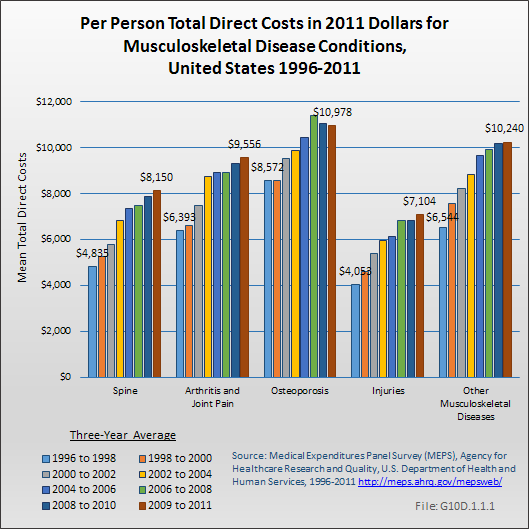 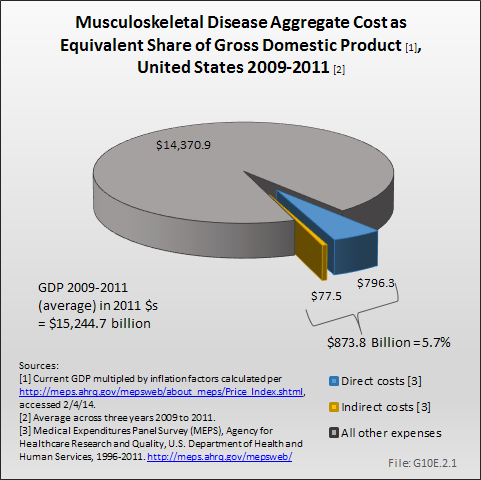 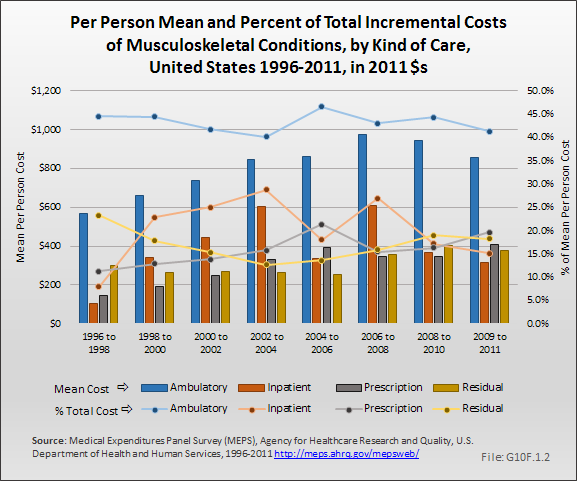 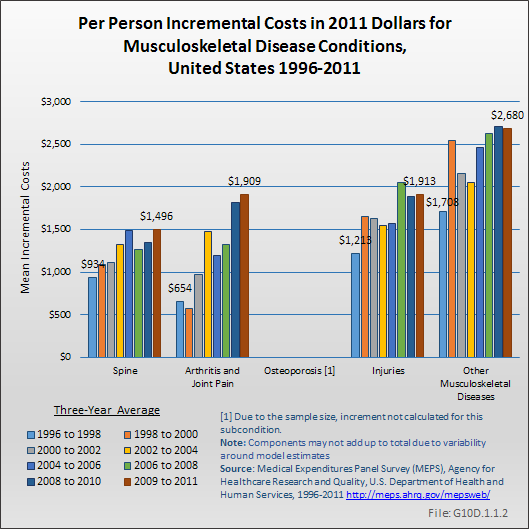 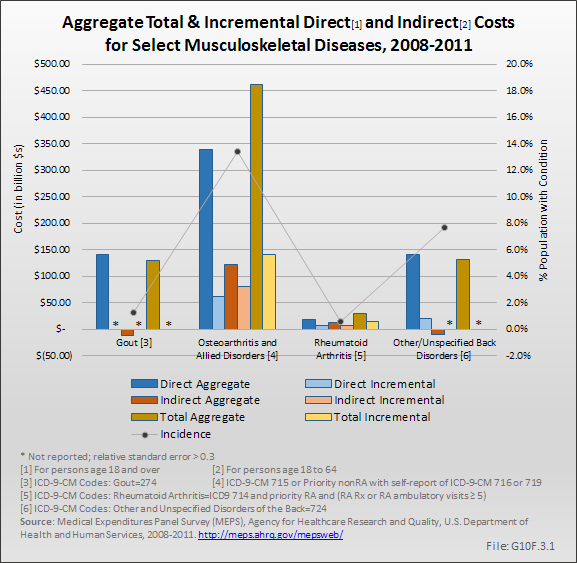 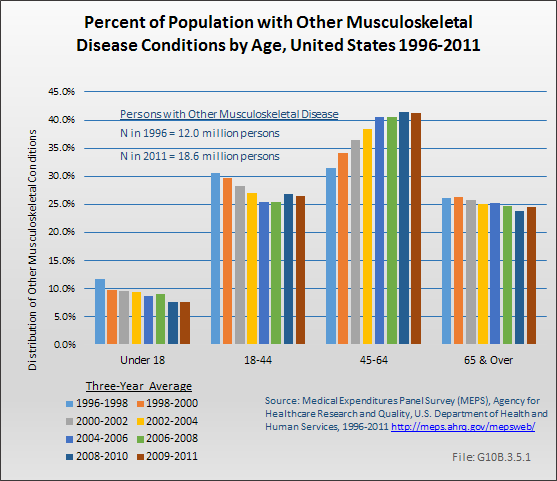 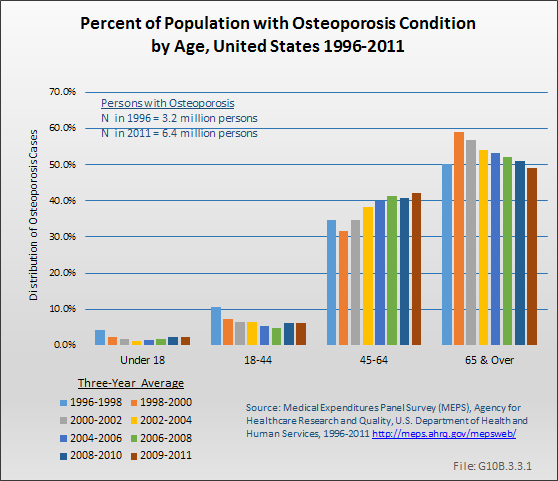 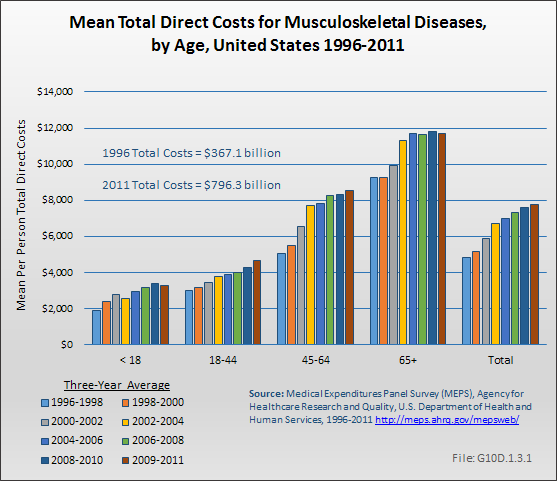 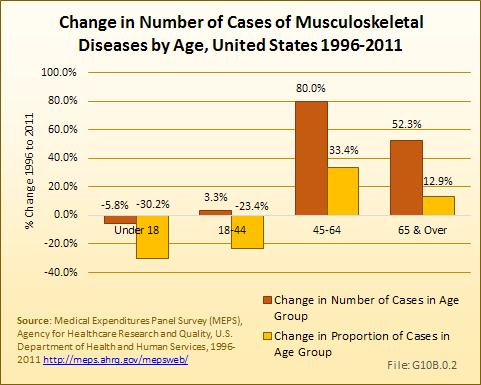 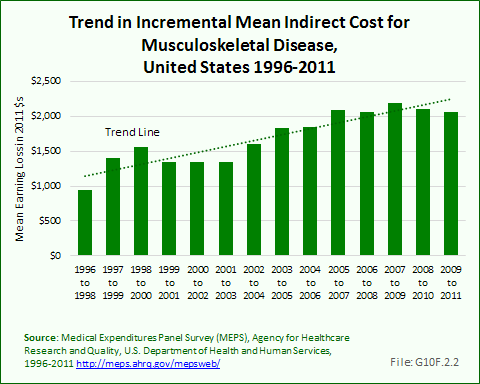 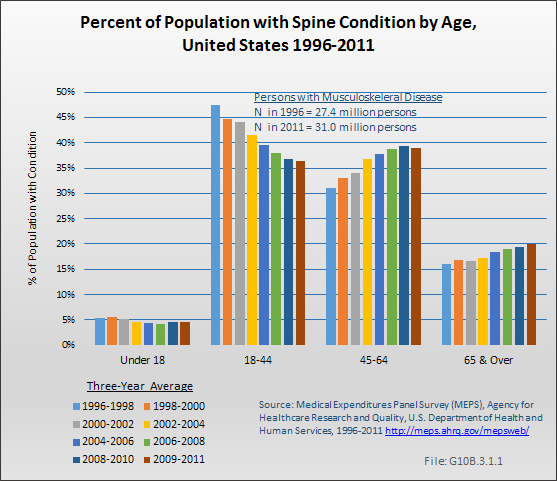 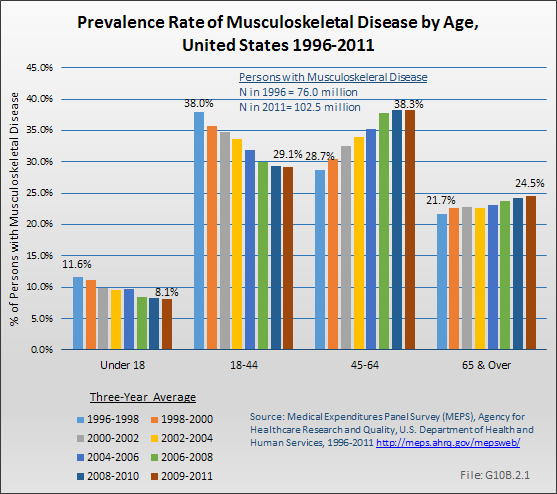 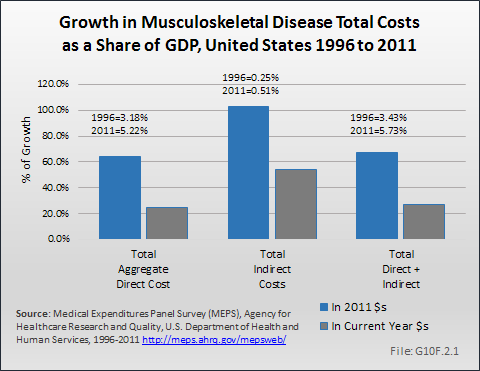 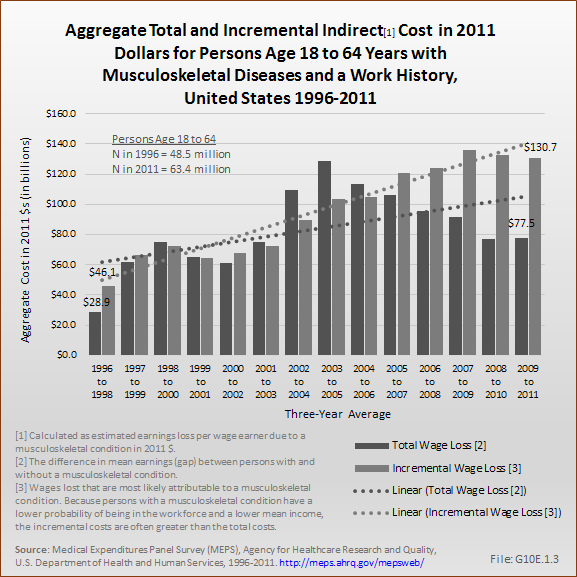 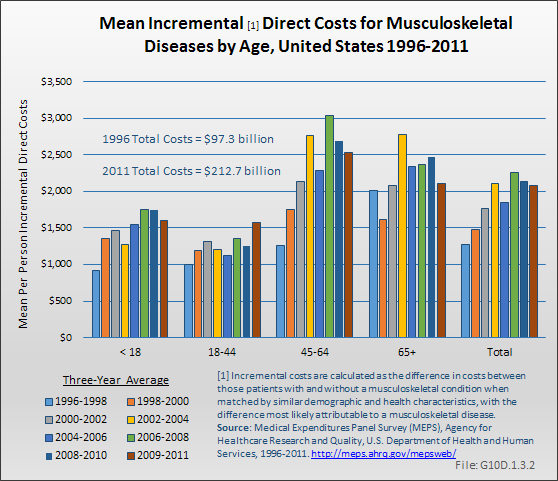 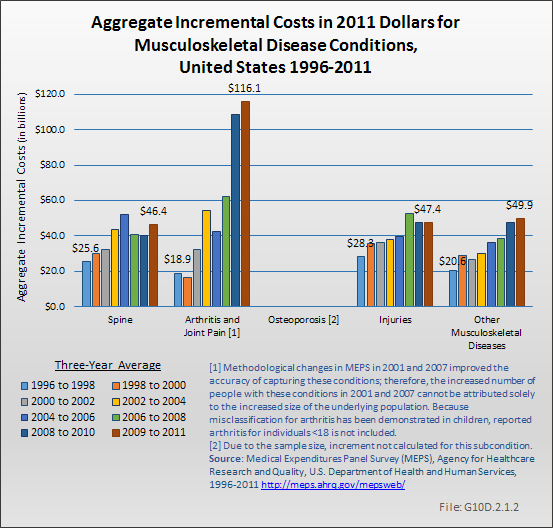 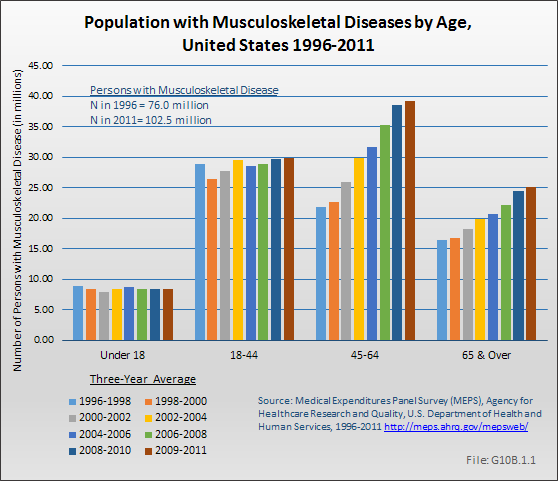 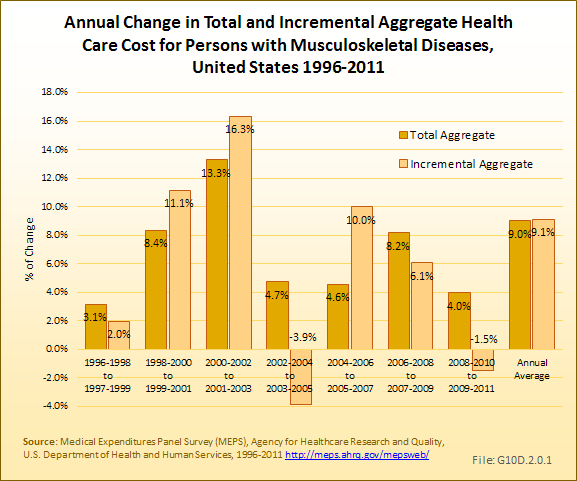 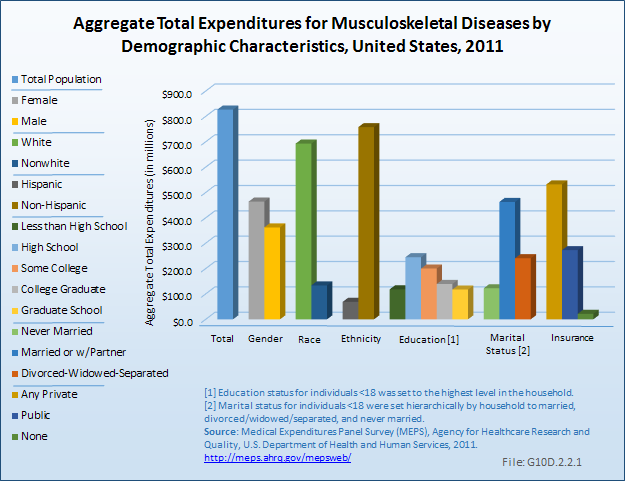 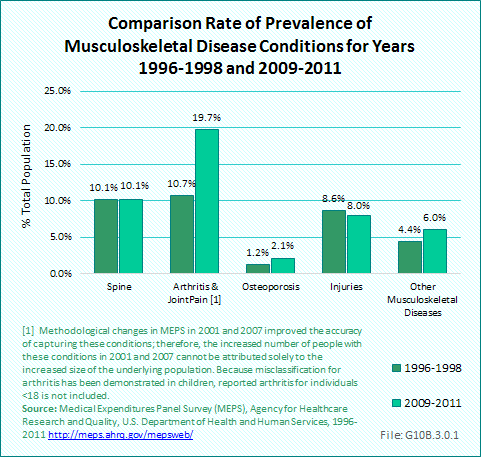 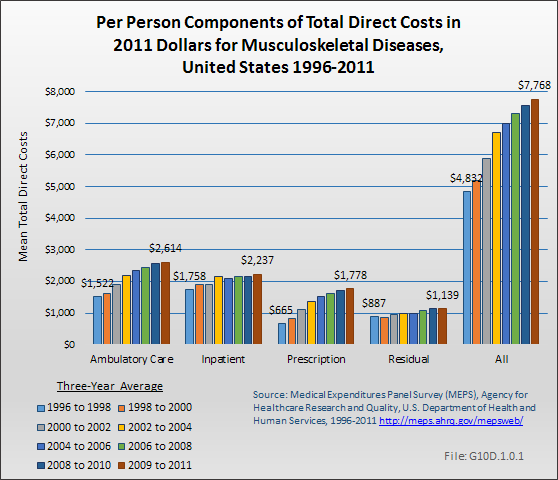 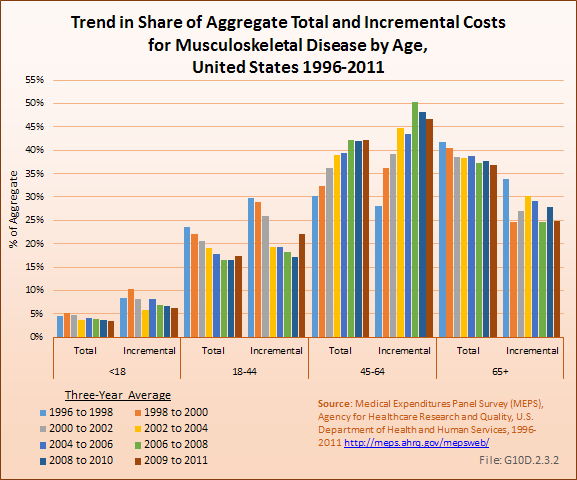 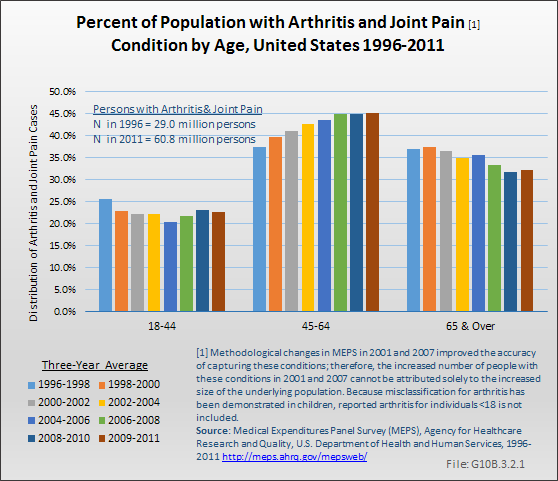 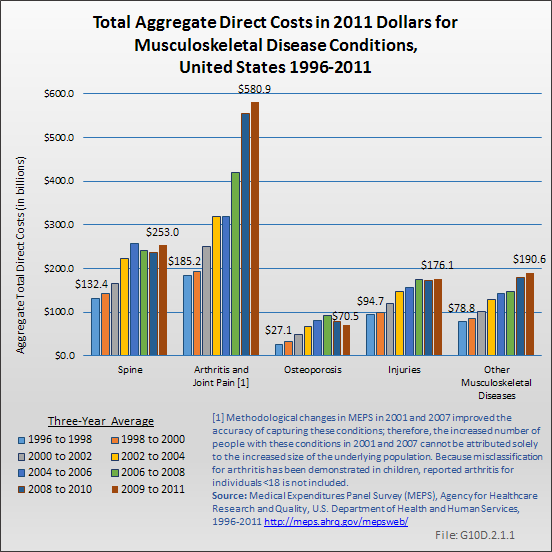 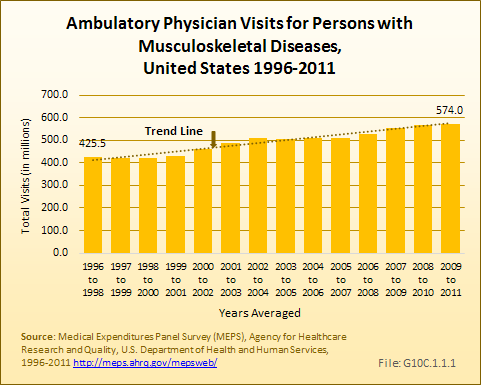 The dramatic increase in the prevalence of musculoskeletal conditions would provide a challenge to the health care system even in the absence of the major changes in health care occurring as a result of the Affordable Care Act (ACA). 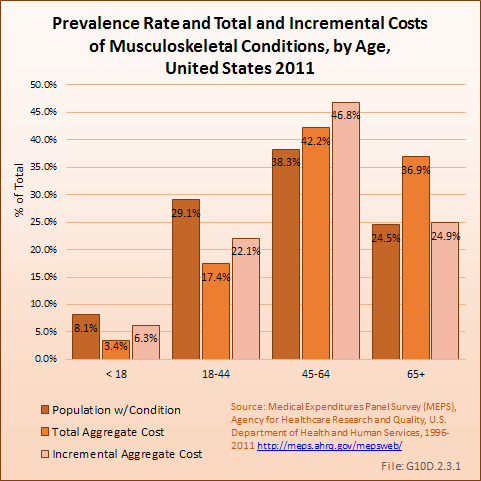 Earlier in the chapter, it was noted there were almost 9 million persons with musculoskeletal conditions who lacked health insurance. 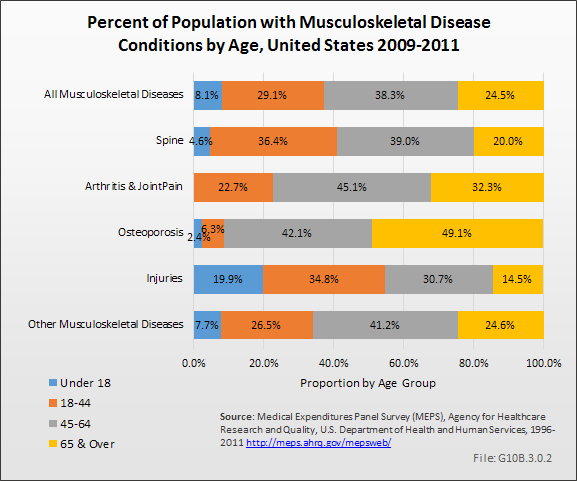 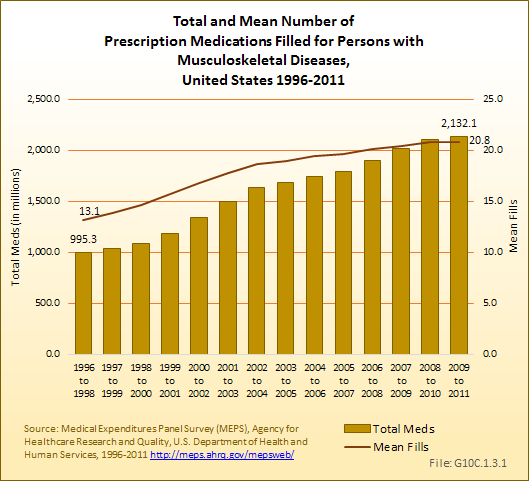 As many of these individuals obtain insurance through the ACA, it will place additional strain the existing care system. 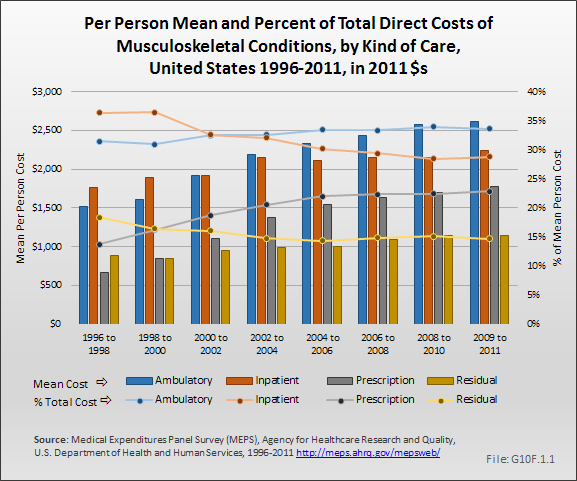 Presently, health care expenditures for the uninsured are only about a quarter of the cost of those with public insurance, and about a third the cost of those with private insurance. 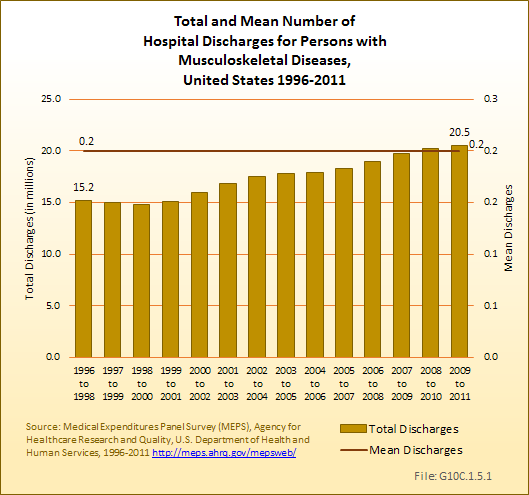 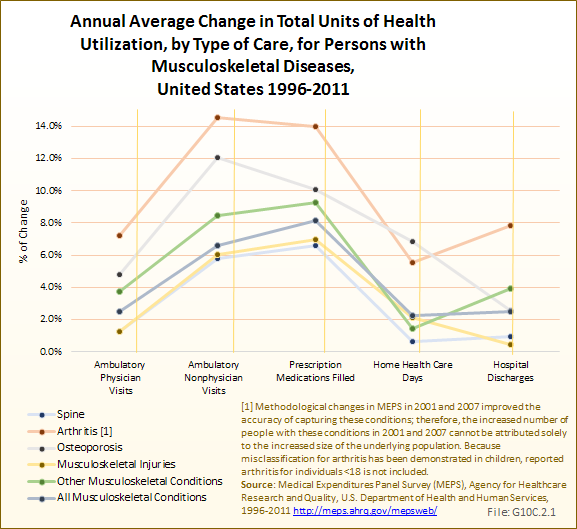 As medical care access increases for the previously uninsured, result will be greater utilization of health care resources. 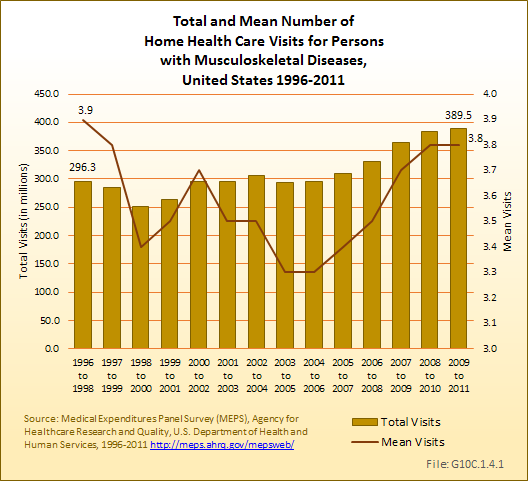 Health insurers may respond by making it more burdensome for patients to access some resources such as specialists or they may increase the amount the insured have to pay out of pocket.